Where is your College located in relation to the Capital of your state/territory We are located in Gungahlin, in the north of Canberra. 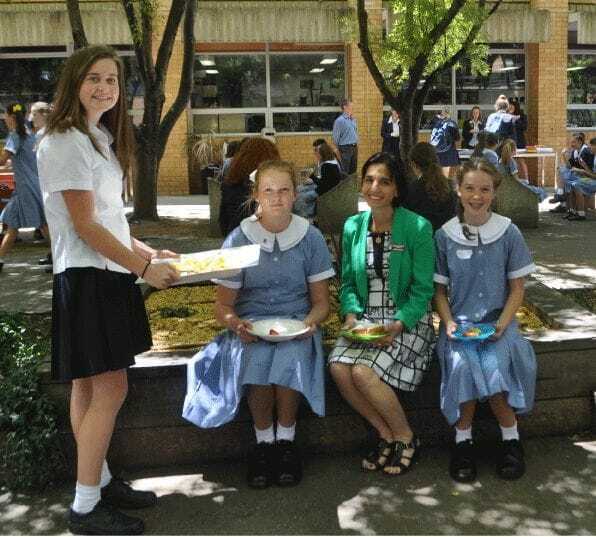 What was your role prior to taking up this appointment Principal of Merici College Braddon. 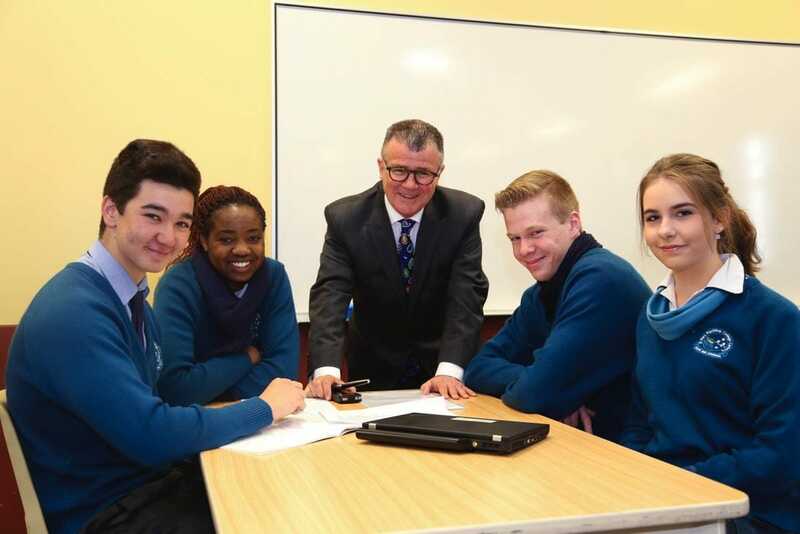 We are a new College in our 6th year of operation with our first Year 12 cohort this year. We were purpose-built, with state of the art facilities and the brief to provide a 21st century education to our students. Our educational philosophy is one of self-directed learning. This includes having students plan and work for one third of the week independently, with access to teachers for one on one support. For teachers, it involves working in very different ways, including team teaching and coaching students and supporting families individually in a unique mentoring model. The leadership structure is also very different. I am immensely proud of how both staff and students rise to the challenges. having contact nwith all members of the College community staff, students, parents, friends, members of the wider school community, old boys and those in partnership with the school. The College has a very rich history and heritage in the Canberra region and has made a great contribution, since its establishment in 1954, in the making of modern Canberra. The main challenge is the changing demographics in areas around the centre of Canberra with families tending to settle in newer areas further out the challenge is to position ourselves in such a way that parents still wish to have the sons attend St Edmund's despite having to travel to do so. (2) the ever increasing secularisation of society with our families becoming less familiar with their faith background and less exposed to their faith traditions. Where is your College located in relation to the Capital of your state/territory Hennessy Catholic College is located in Young NSW, approximately 2 hours west of Canberra and 4 hours west of Sydney. What is the nature of your College We are a 7-12 co-ed Catholic school. What was your role prior to taking up this appointment I was a Deputy Principal at Merici College in Canberra, a position I held for 11 years. I have experienced great satisfaction in getting to know all the members of my new community. It is a great privilege to be part of a community which is so rich and diverse. I am particularly proud of both the Staff and Students as they demonstrate a commitment to excellence in teaching and learning. The main challenge I see for us and other schools in the area would be enabling parents to access our school for their children given the distances they have to travel. I think that in light of the Royal Commission findings the challenge for Catholic Schools nationally is to continue to ensure that Catholic Education is a viable, tangible option for parents. Where is your College located in relation to the Capital of your state/territory Inner North of the City. What is the nature of your College Co-educational Years 7-12 school operated by the Missionaries of the Sacred Heart (MSC). What was your role prior to taking up this appointment From 2001 I was the Principal of St Clare's College in Canberra, a systemic Catholic school for girls in Years 7-12. 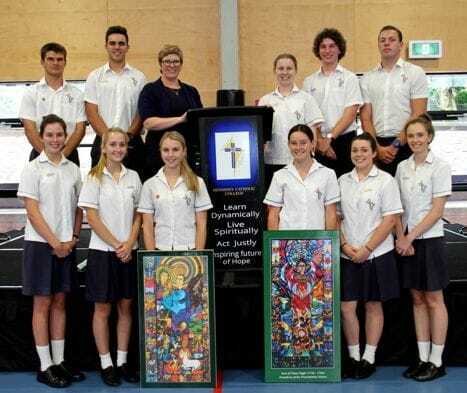 Daramalan College is one of the oldest Catholic colleges in Canberra and over time we have successfully transitioned from being a school for boys into a fully co-educational school. In 2012 we celebrated 50 years of providing education in the MSC tradition and this charism is integral to our culture. We offer an extensive formal curriculum that caters for students of all academic levels with outstanding facilities particularly for vocational training as well as our co-curricular program. We have strong competition from Government schools that into which the ACT government is investing heavily to make them attractive to parents. Another challenge is finding enough time in the crowded curriculum for providing students, particularly older students, with formal Religious Education classes as well as spiritual development opportunities through retreat programs, Masses and access to guest speakers. I think there is a challenge ahead gaining high quality staff who will maintain the Catholicity of our schools. It is quite hard to fill some REC positions or other Mission/Catholic Identity related positions with people who can effectively engage with young people. We are faced more and more with families who choose Catholic schools for reasons other than their Catholic identity. This can cause issues when trying to develop a culture that has Catholic values and practices as priorities. Where is your College located in relation to the Capital of your state/territory This school is located on the Monaro, south of Canberra. What is the nature of your College We are a co-educational Kindergarten to Year 10 school across three campuses. What was your role prior to taking up this appointment Previously, I was Assistant Principal- Learning and Teaching at a large 7-12 school in the Wagga Wagga Diocese. This is a school with a long history and a strong Brigidine charism. It has continued to evolve as the needs of the community and the challenges of learning have changed. 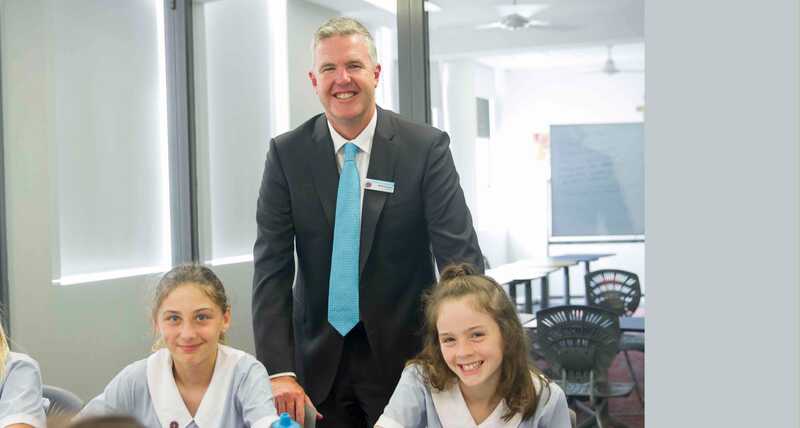 We are able to see the continuum of learning from a very young age until the students are ready to be very independent learners in another senior school in Canberra. This is a real privilege to have that continuity of relationship.Amazing Hospitality and Canteen area, incorporating a Kitchen Garden and Sustainability initiatives. The biggest current challenge is being able to offer the same quality of education as students receive in metropolitan areas, especially Canberra. When approximately 25% of students do not have good access to the internet at home, we have to continue to explore ways to ensure that their learning is not compromised. Engaging and empowering students to be active learners and committed Christians remains the goal in front of us. Staff who are committed to Innovation in Education, they are always striving to get the most out of the girls and support them on their academic and spiritual journey. Amazing Hospitality and Canteen area, incorporating a Kitchen Garden and Sustainability initiatives. Enrolments in the ACT - especially from Catholic families who have moved into the private, independent sector. Finding the balance between an affordable Catholic education and being able to provide first class facilities - it all comes down to funding. Issues of mental health for students, young adults and staff and effective strategies to deal with that. Raising awareness for families that an ATAR is not the only pathway to the future. Spending time in classrooms with teachers and students, focusing on student learning and continuous school improvement. St Clare's College is a Spirited Learning Community based on the educational philosophy that all students can learn. The students are eager to learn and take advantage of the opportunities presented to them. The wonderful committed staff and the support they give our students to help them fulfill their potential. Having sufficient resources to ensure that we can offer courses and programs that attract enrolments in Years 11 and 12 in a very competitive market. Independent Schools in to the future. 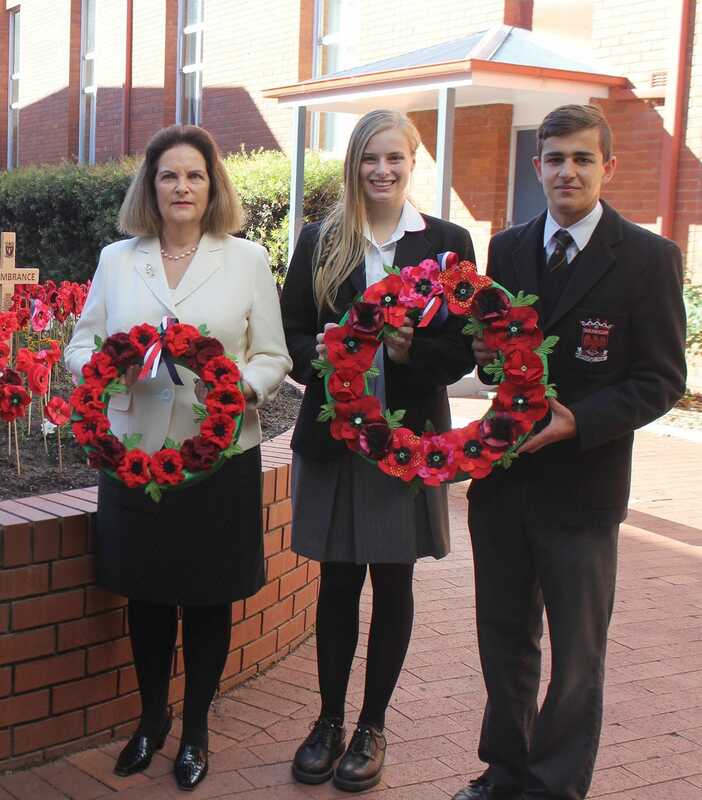 I am particularly proud of the inclusive and welcoming nature of the MacKillop community and the growing emphasis on the spirit, legacy and charism of the Sisters of St Joseph. the continued challenge of building links with the broader community. the wellbeing and nurturing of our school leaders.